Photography is not dying and has not died. It has been an ever-changing medium since its earliest days, and while near-obsession with the technology of the day may have defined photography over the course of its existence, photography is so much more than hardware and software. Photography is communication, whether chemical or digital, tangible or ephemeral in form. 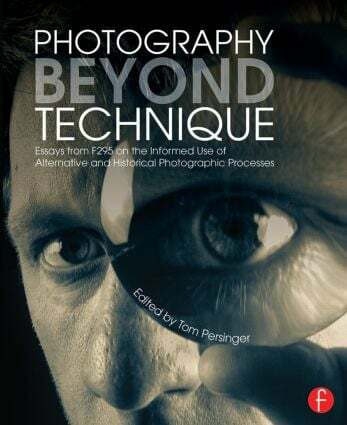 Photography Beyond Technique is a compelling selection of essays and images that reveal the thoughts and methods of some of today’s most exciting contemporary photographers. These artists employ alternative, historical, or handmade processes and techniques, and they share a comprehensive view of the medium: that the choice of photographic process is just as important as the selection of subjects. While other books concentrate solely on process, or theory, or artistic intent, none focus on photography in which these decisions are considered inseparable.